Le Cabaret Vert – The Best “Green” Festival You’ve Never Been to? if you’re thinking of music festivals in France and places that you might not have otherwise thought of , you could do a lot worse than Le Cabaret Vert. It’s famous across France not only for its surprising and varied line-up of musical talent, but also for the way in which it mixes some top international acts with plenty of local food and beer. One of the most eco-friendly and highly eclectic music festivals on the planet, Cabaret Vert this year takes place from August 24 to 27. Named after a poem written by one of France’s best-known poets, Arthur Rimbaud – who was born in the region – Cabaret Vert might be slightly off the beaten track, but it is nevertheless on the rise as one of Northern Europe’s best festivals, featuring both new and established artists, as well as an equal measure of street art and cinema. For more than a decade, Le Cabaret Vert has managed somehow to unite several musical genres, including rock, pop, electro and urban music. Previous names to have performed here include the likes of The Chemical Brothers, The Prodigy, Damian Marley, Franz Ferdinand and Public Enemy. 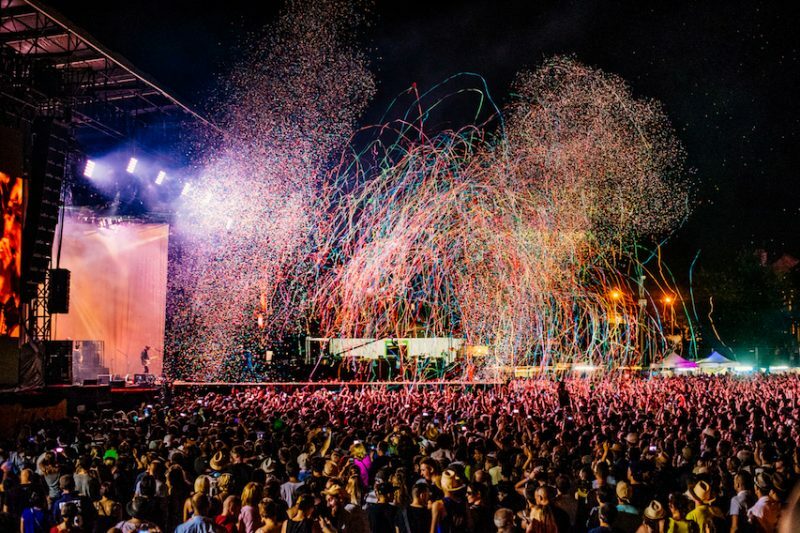 Based in Charleville-Mezieres, in The French Ardennes, it lasts for four days and in 2016 attracted a new record of 94,000 festival-goers. Located on the banks of the River Meuse in the town centre, Le Cabaret Vert also stands out thanks to its eco-friendly approach. Organic food and craft beer can be enjoyed at the refreshment stands; and the festival as a whole also offers environmental awareness and recycling workshops, screenings of short films, street art performances and painting and poetry exhibitions and performances. This year’s line-up includes London Grammar, Cypress Hill, Korn, The Kills and Kate Tempest. Ticket prices start from €38 for a single ticket for the Thursday, Friday or Saturday, to €92 for a four-day pass. For further details, visit www.cabaretvert.com.